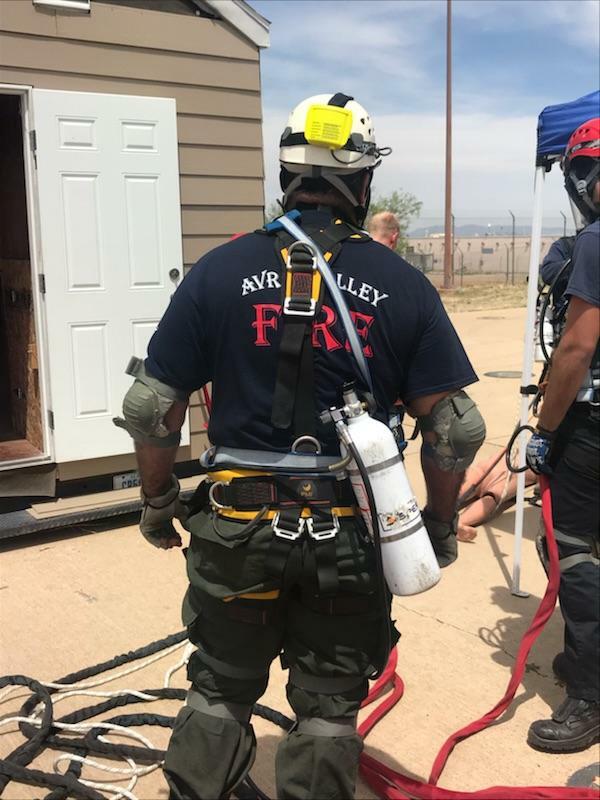 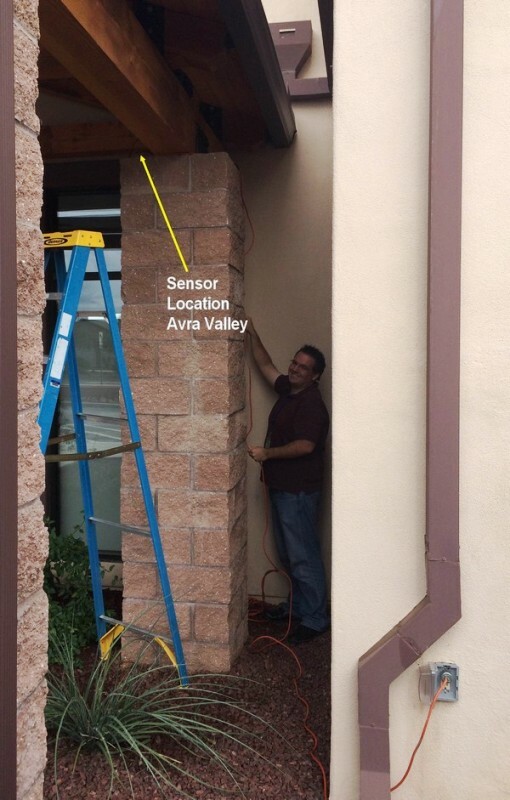 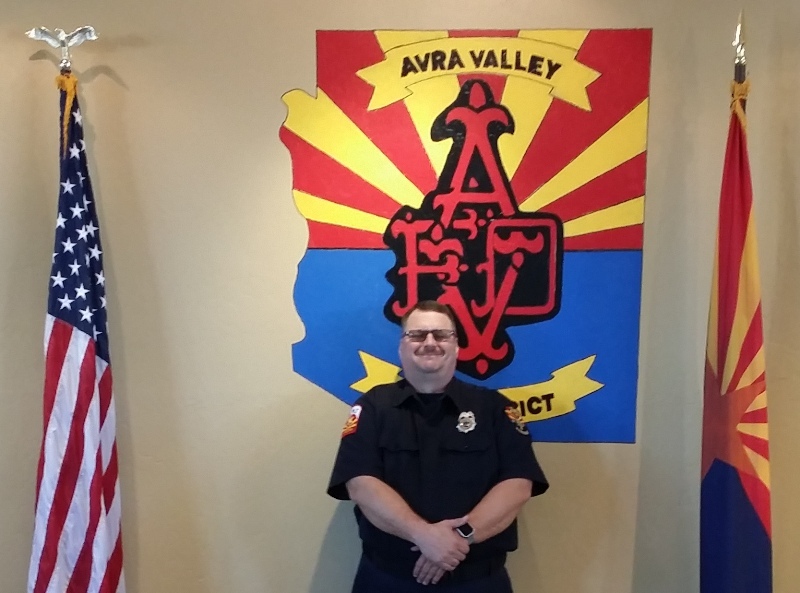 2017 HIGHLIGHTS: We are so proud of our Avra Valley family! 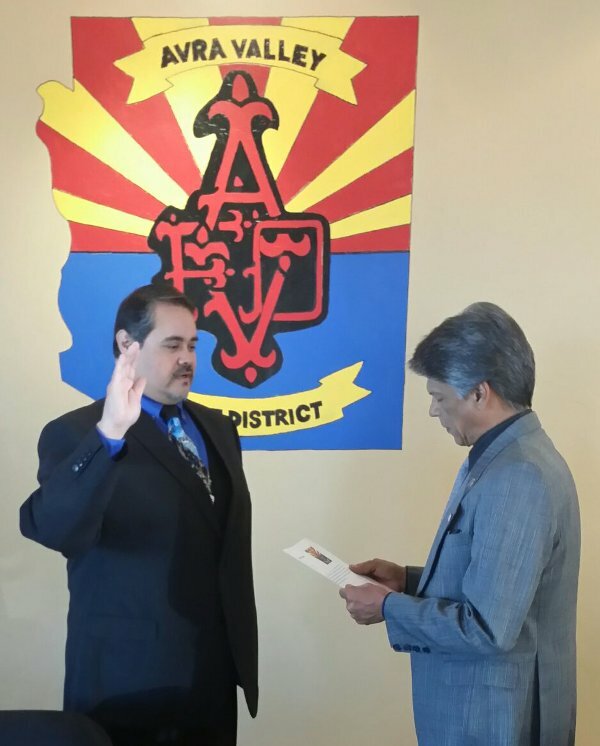 2017 provided many positive changes for the District. 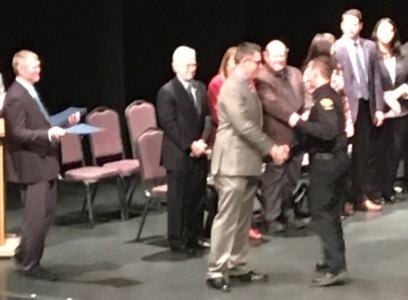 Of significance, our District received an upgraded ISO Rating during 2017. 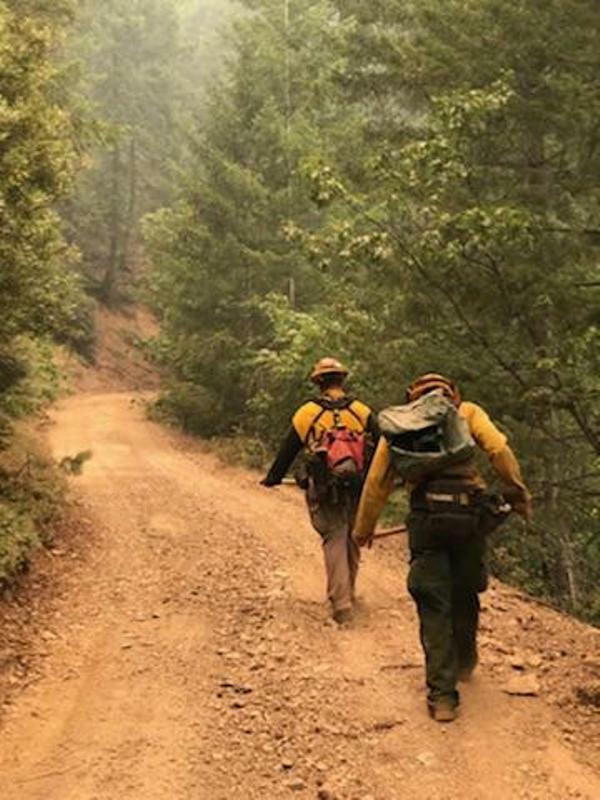 The 2017 wildland season was tragically intense. 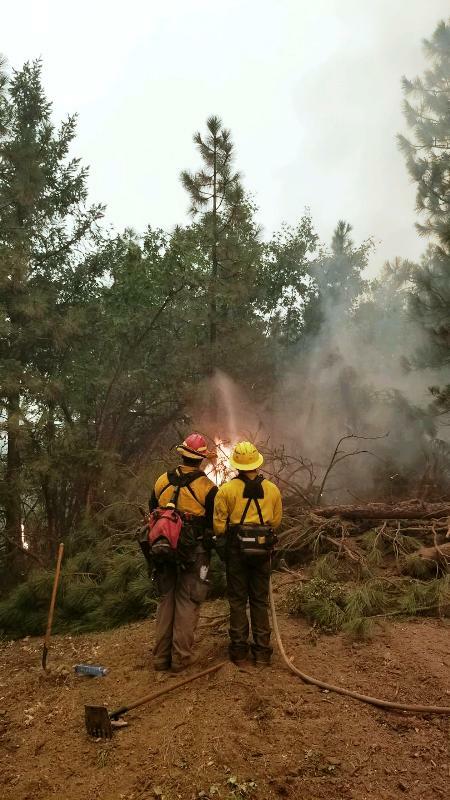 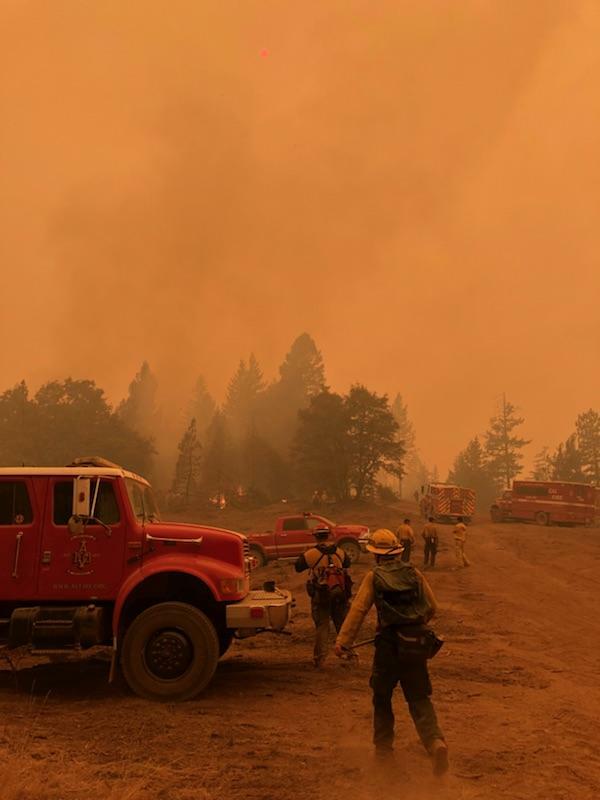 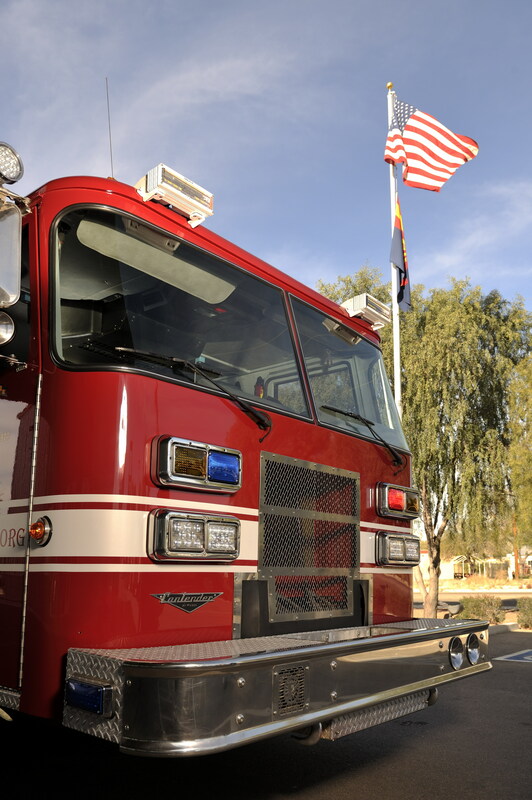 We deployed crews to fires in several states including Oregon, California and Arizona. 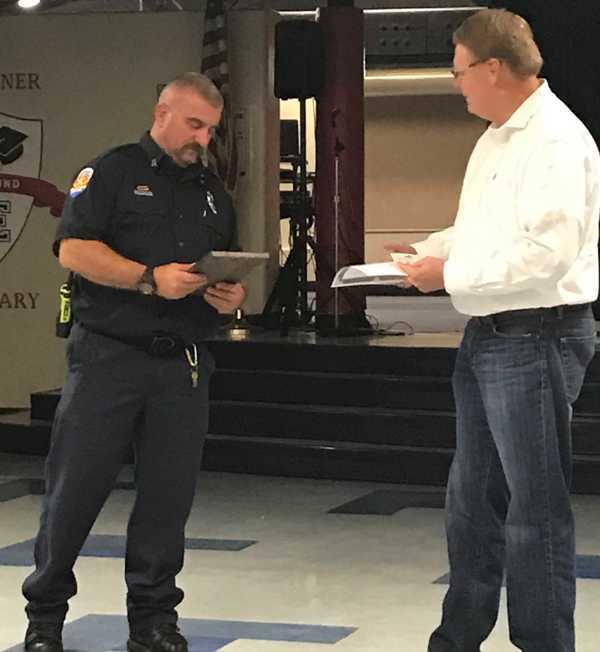 The District has received dozens of thank you notes from residents who were impacted by the devastating fires. 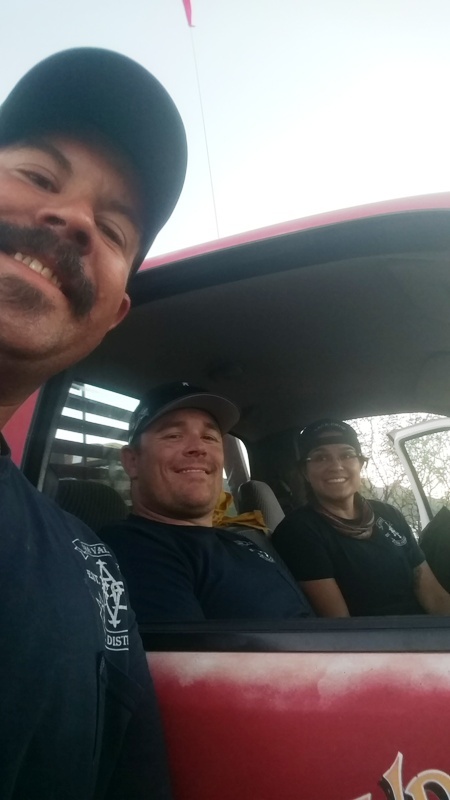 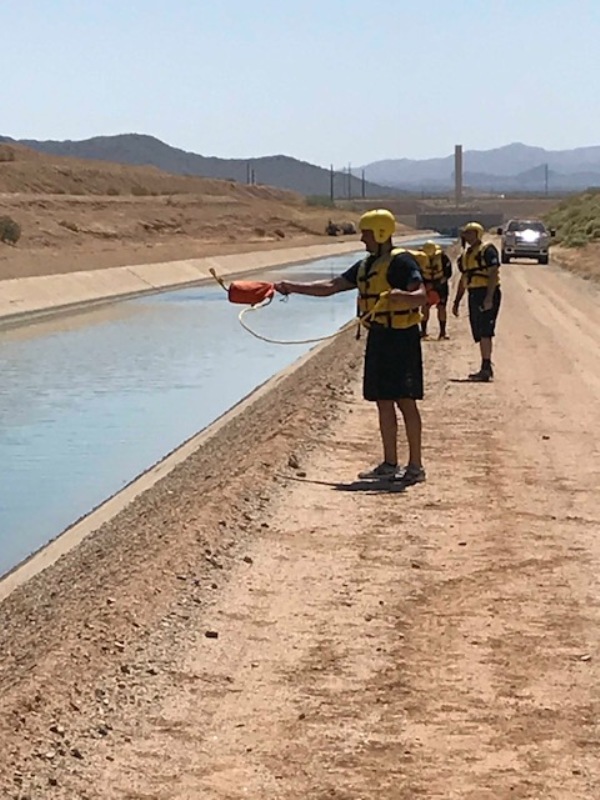 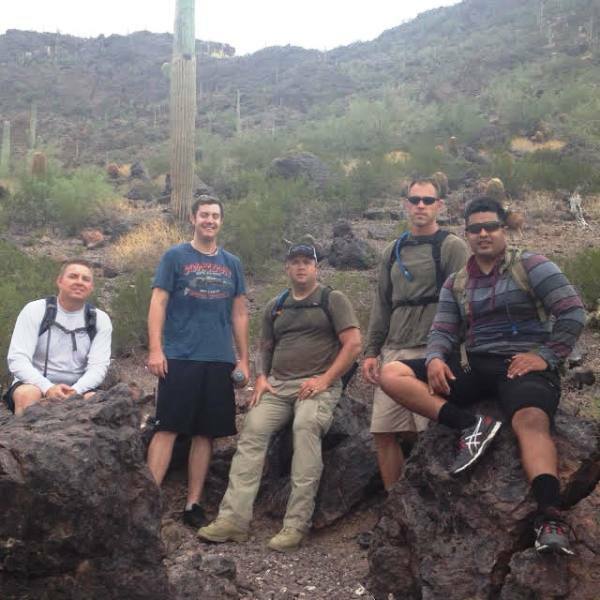 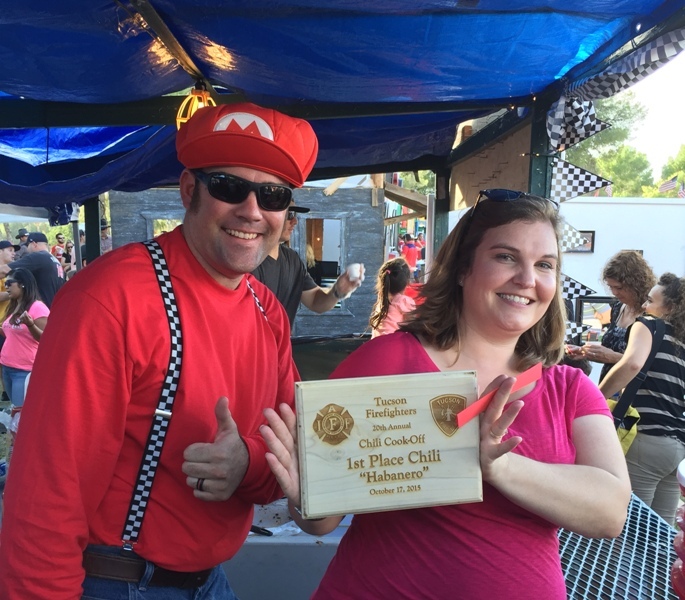 Way to go wildland team! 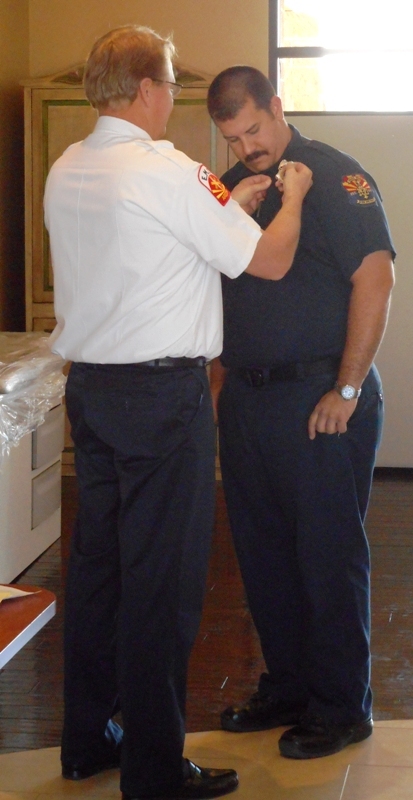 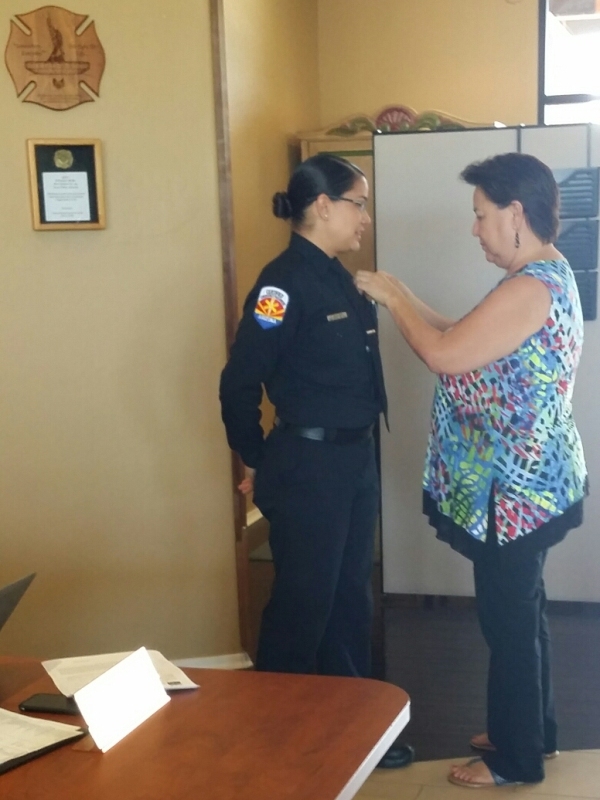 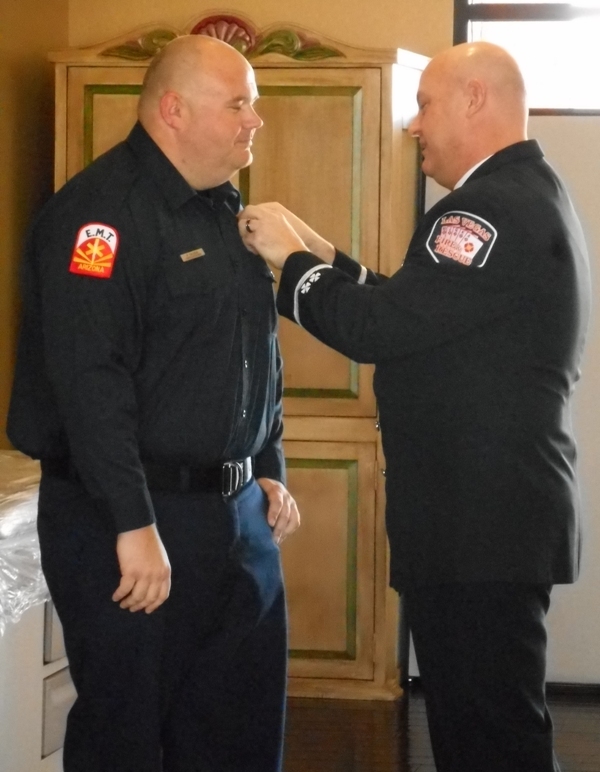 During the year, we installed 1 new Board member, awarded a 10-year service pin, promoted 1 Captain, promoted 1 medic, and welcomed 2 new firefighters. 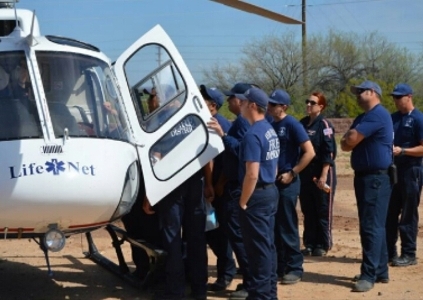 While maintaining both State and District response times, we responded to over 2,300 calls, with 80% of those calls requiring transport. 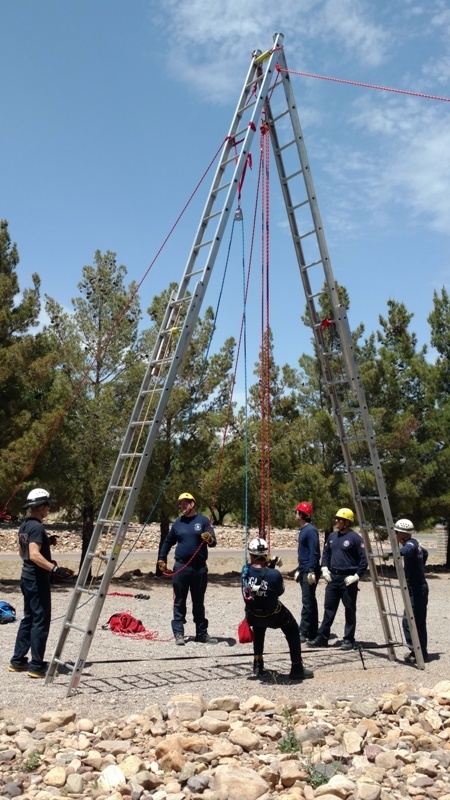 Our suppression staff maintains a rigorous training schedule. 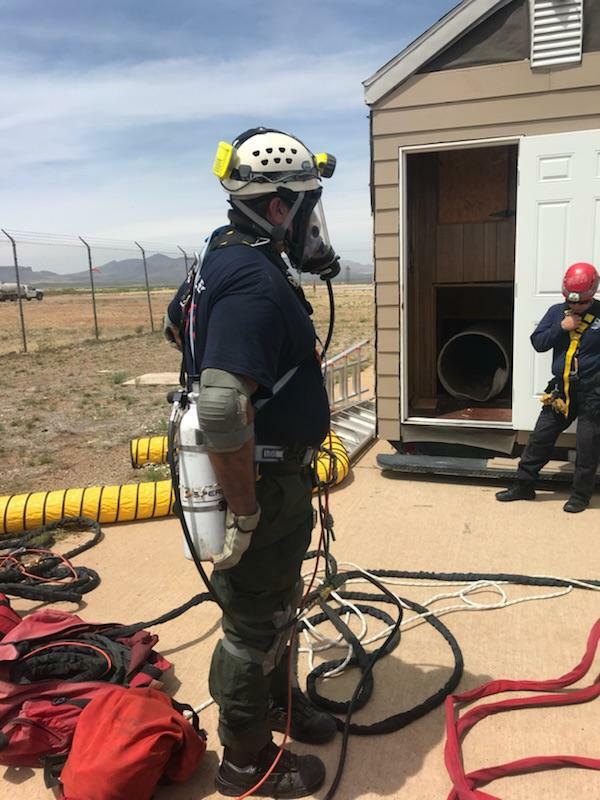 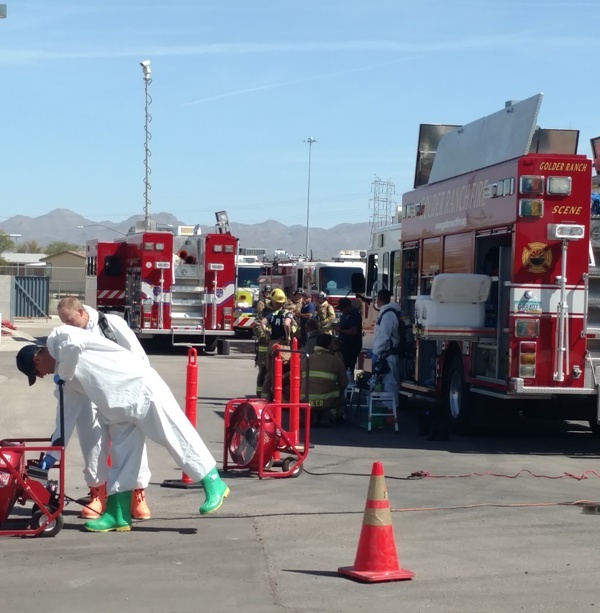 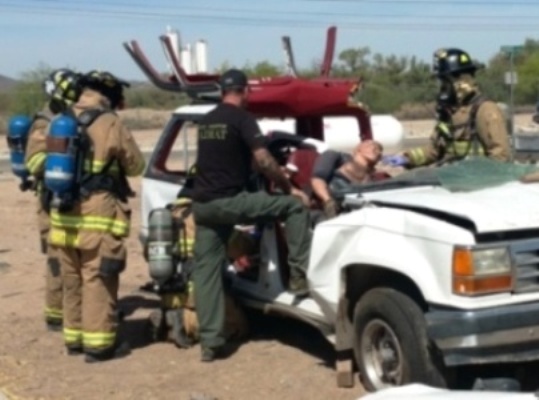 Included in the montage are photos of hazmat training, confined space training and rope rescue training. 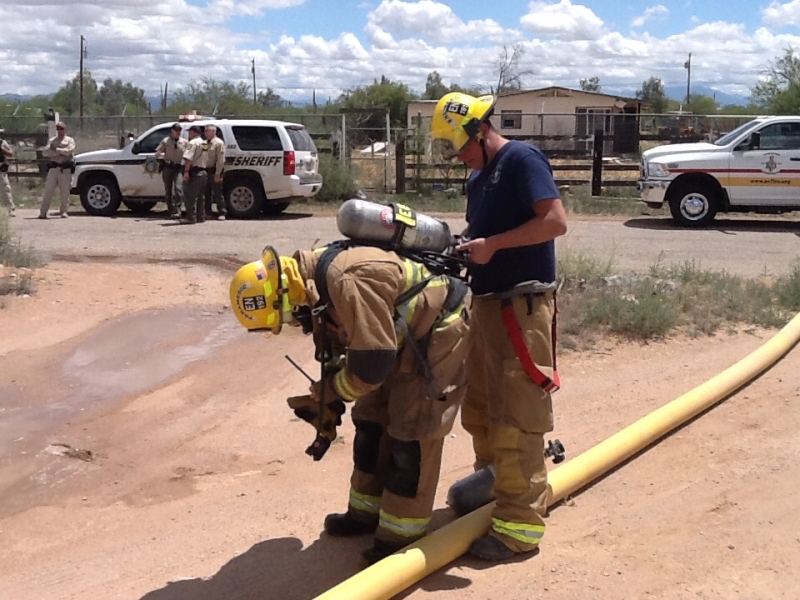 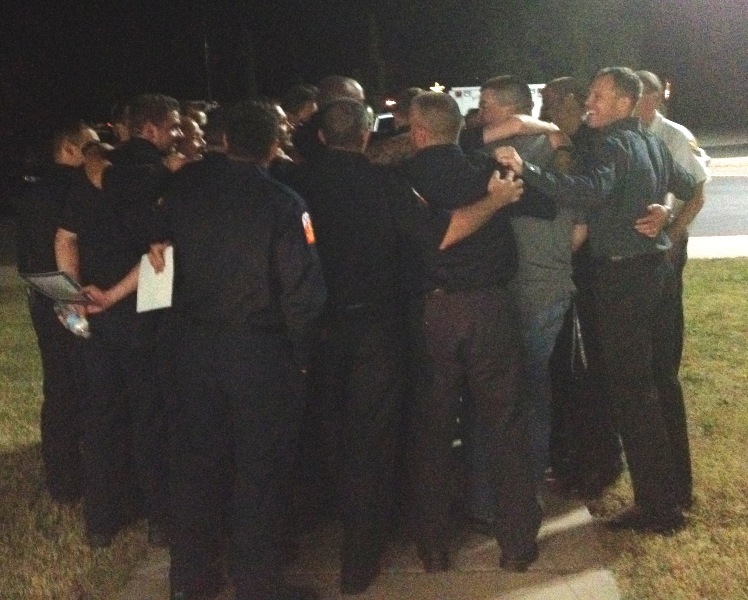 Our firefighters embody the District’s mission of serving with PRIDE. 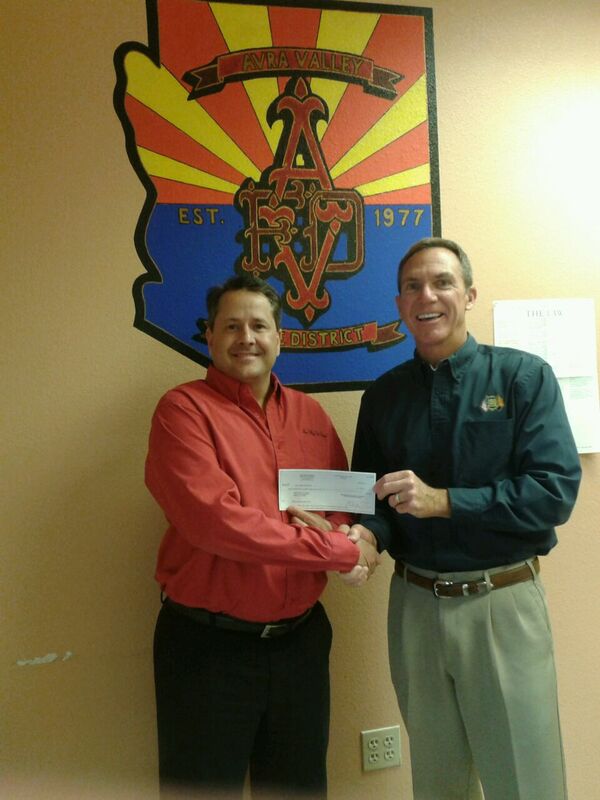 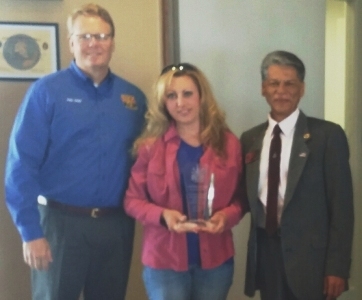 During the year, we participated in the Marana Founder’s Day Parade, the Red Rock Spring Fling, conducted several school tours — including donating 150 backpacks to grade school children, and won the annual chili cook-off for the third year in a row! 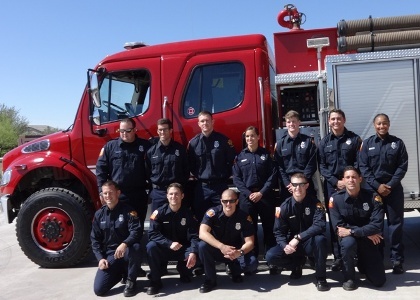 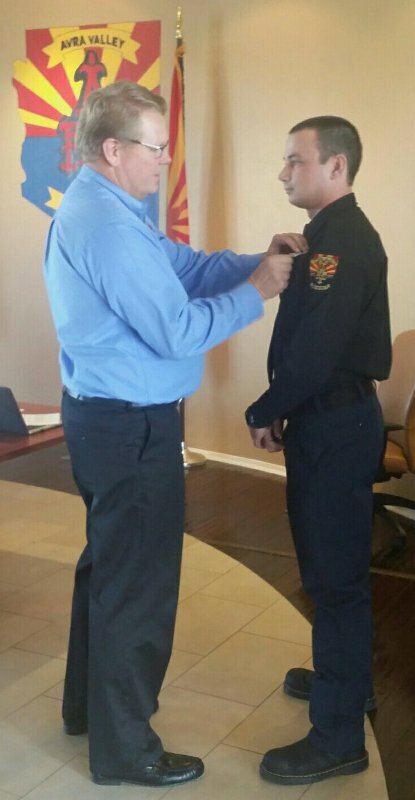 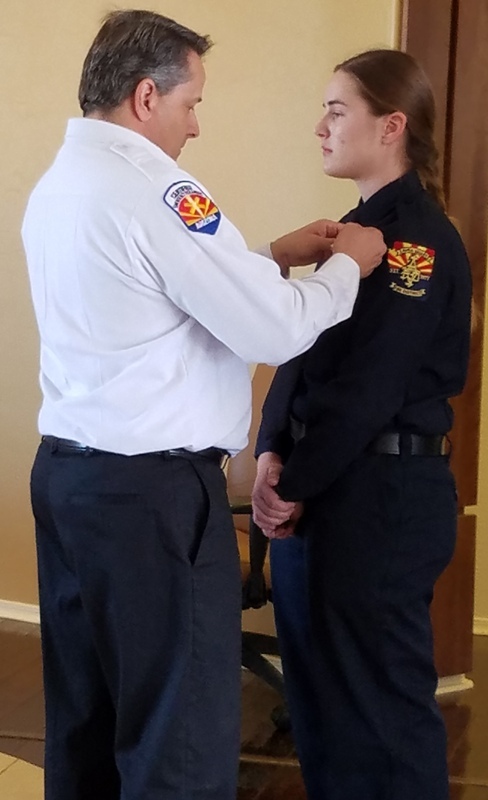 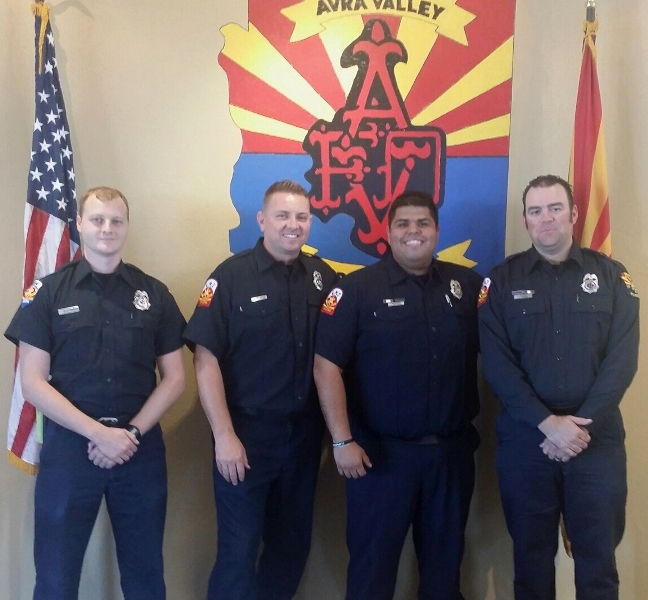 2016 HIGHLIGHTS: During 2016, Avra Valley promoted 6 firefighers to the rank of Captain. 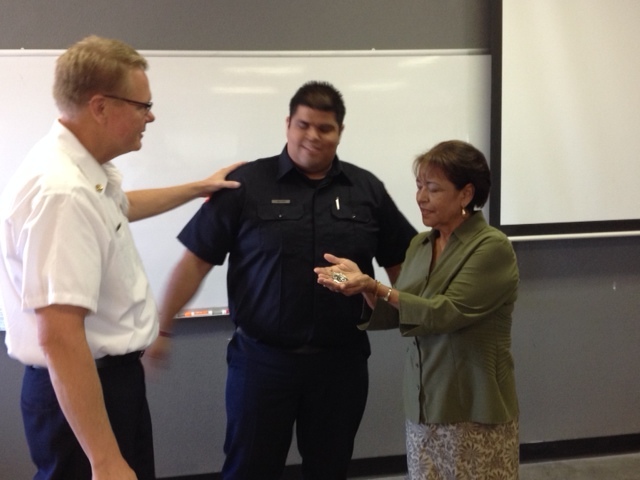 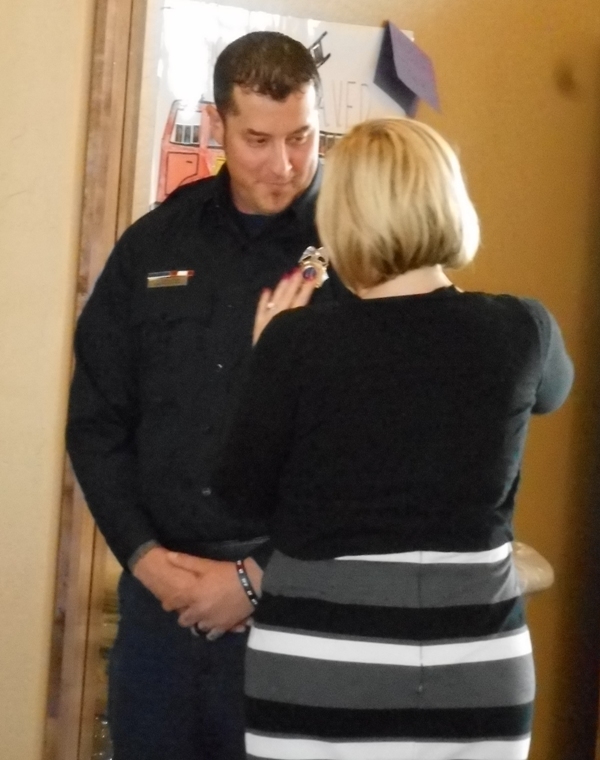 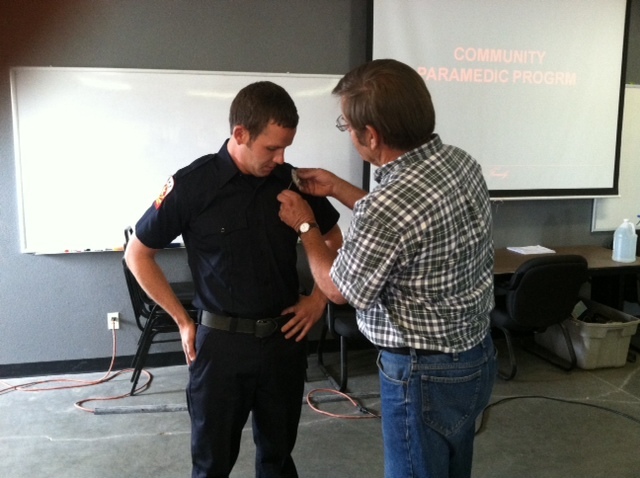 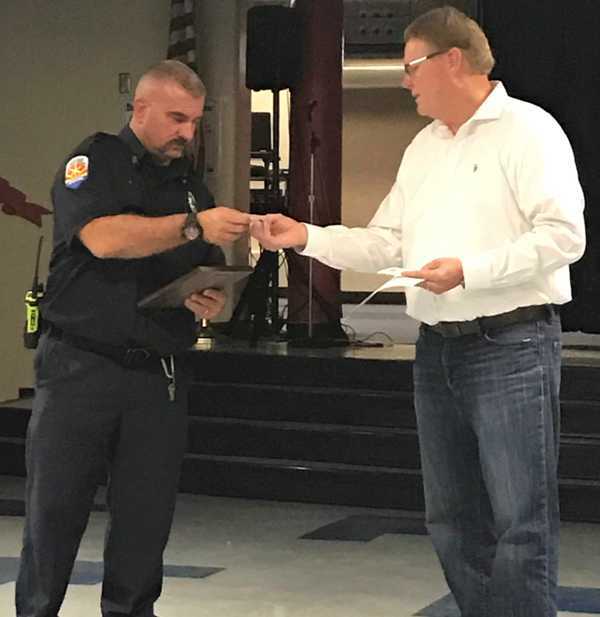 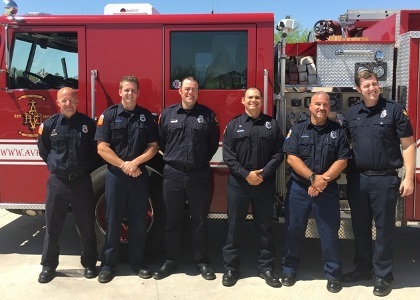 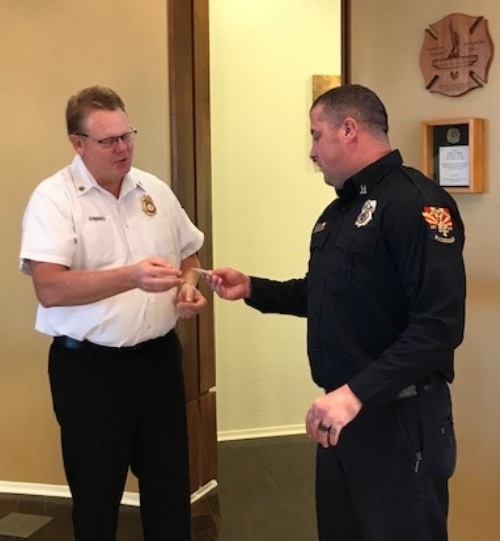 The District welcomed new firefighters, new paramedics, and issued service pins for 5 years – 10 years – and even 15 years of service to the District. 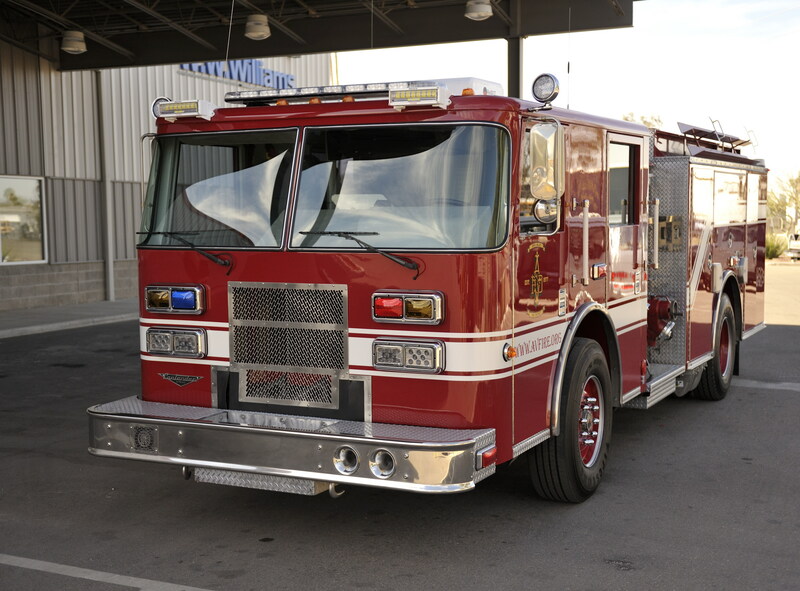 During the year, our firefighters responded to over 2000 calls, with over half of those calls requiring transport. 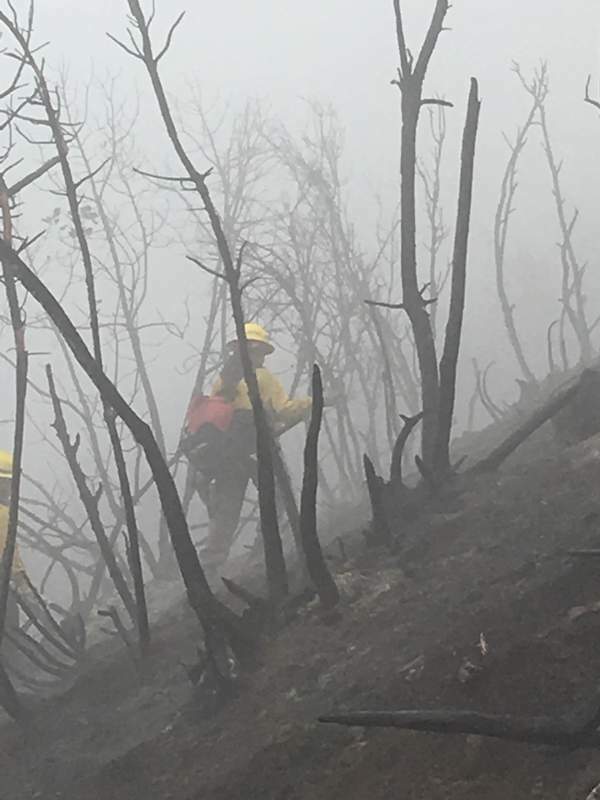 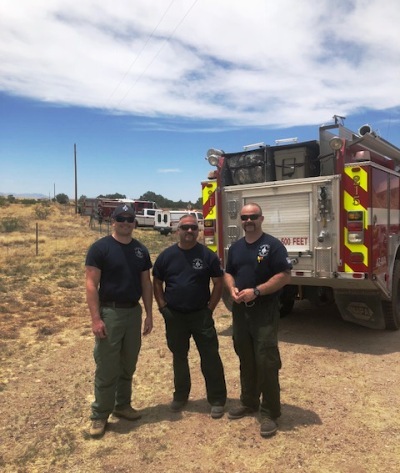 Additionally, our firefighters continued to build the Community ParaMedicine Program, and were deployed to several wildland fires. 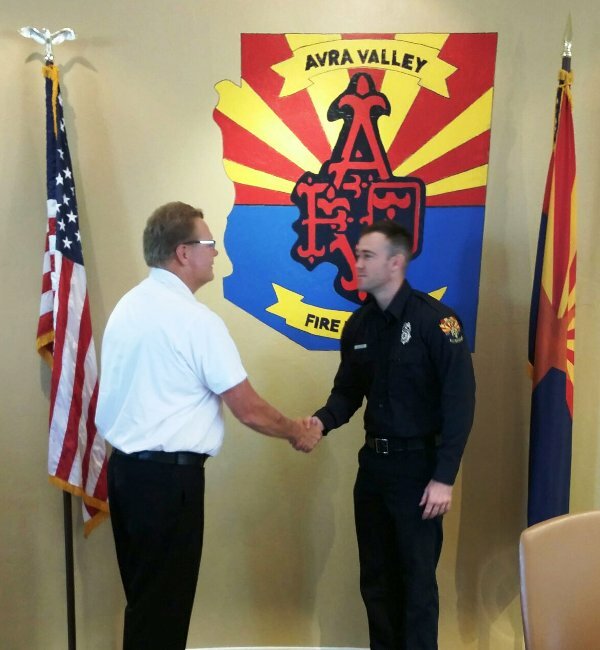 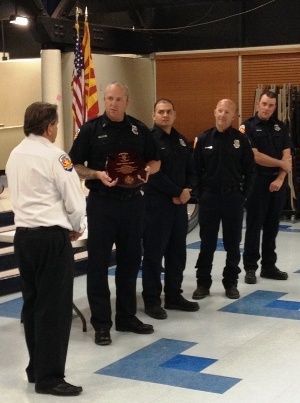 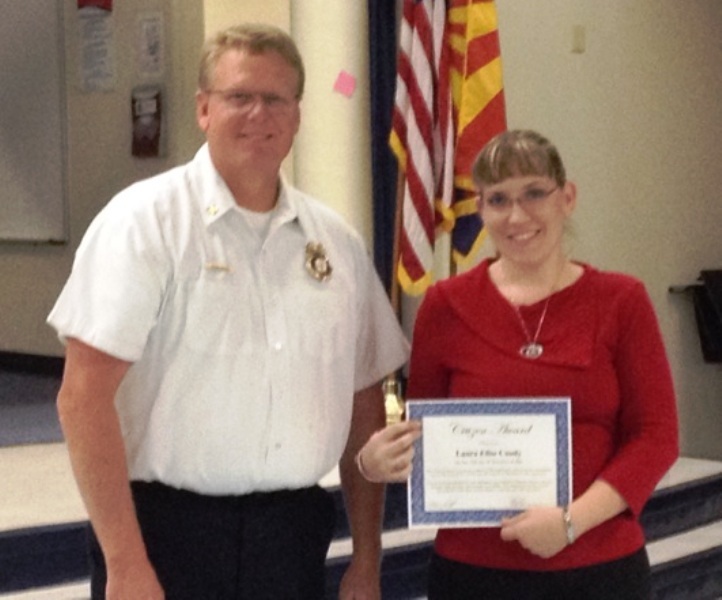 Not only did our firefighters honor the Avra tradition of serving our residents with pride, they also made time to actively participate in the community including providing safety training in the schools, hosting tours of our stations, assisting with school functions, participating in the annual 9-11 Memorial StairClimb, hosting the annual Adopt-a-Family program, and … winning the annual chili cook-off for the second year in a row! 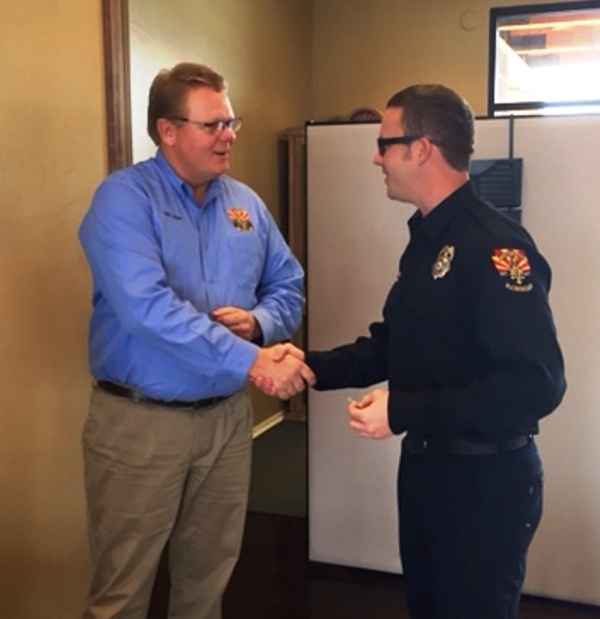 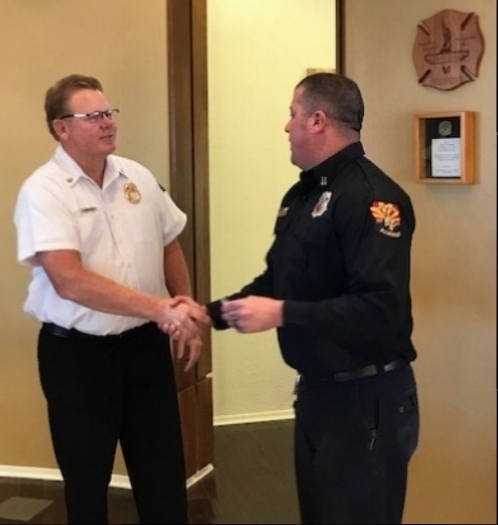 Also during the year, Chief Delfs was honored for his many years of service as a first-responder with a special award from Congresswoman Martha McSally. 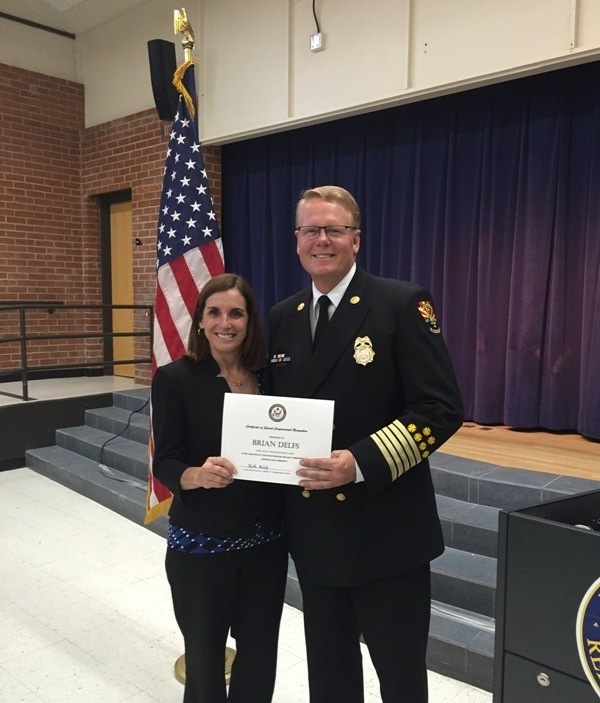 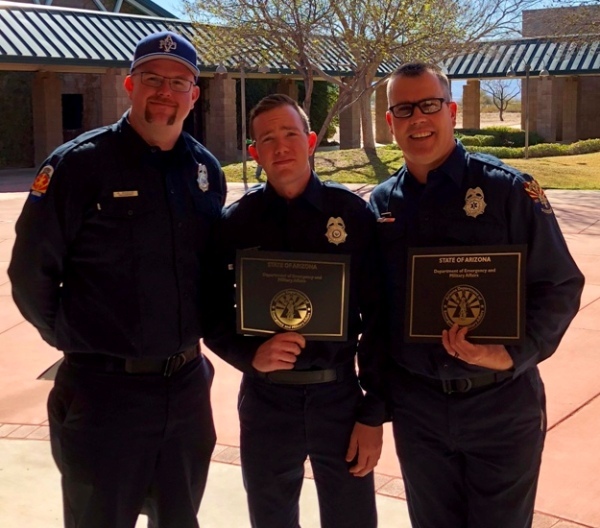 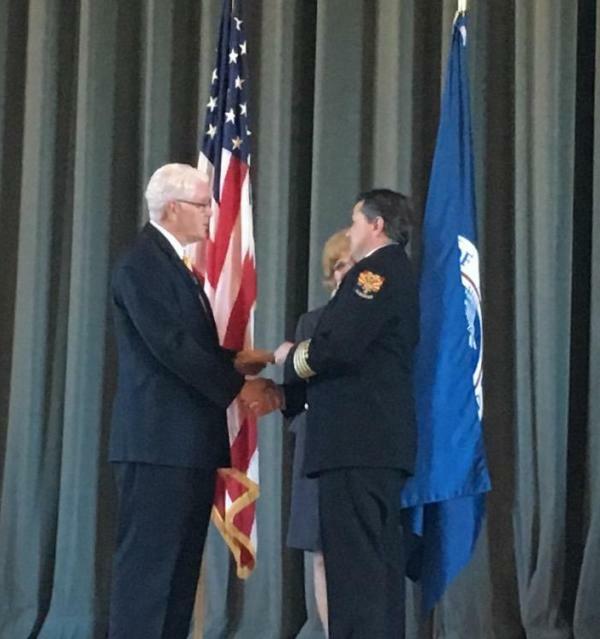 During 2015, Chief Delfs completed the Executive Fire Officer program at the National Fire Academy, and during 2016, Assistant Chief Klein completed all coursework and will soon be done with the EFO certification. 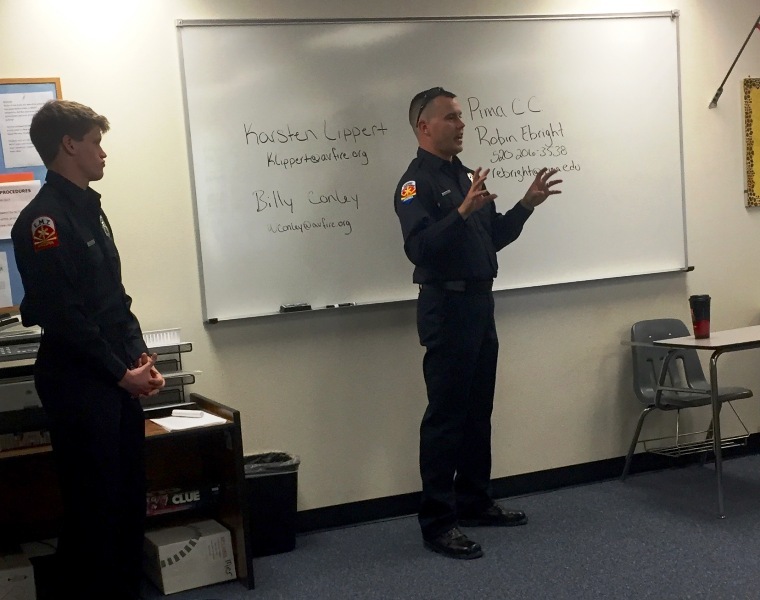 Further, our Board of Directors co-hosted a 6-hour training event for Board members and executive staff, welcoming attendance from several fire districts. 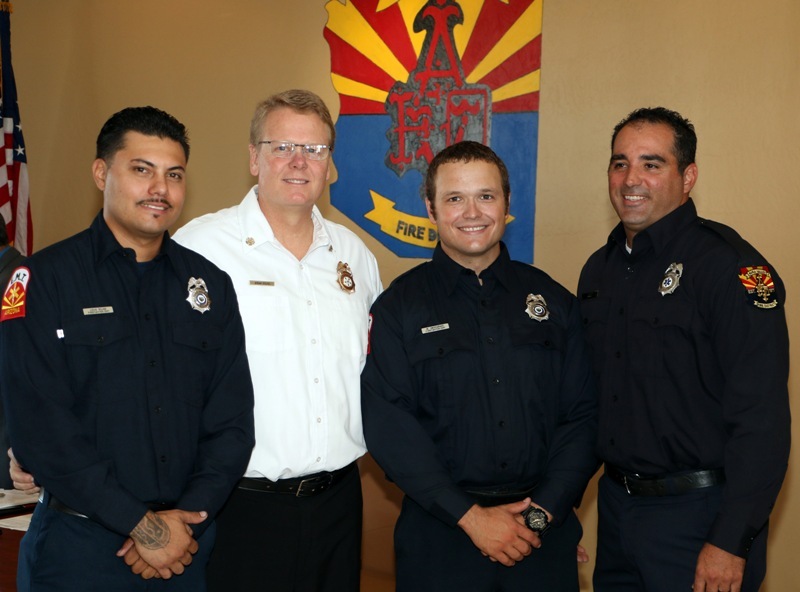 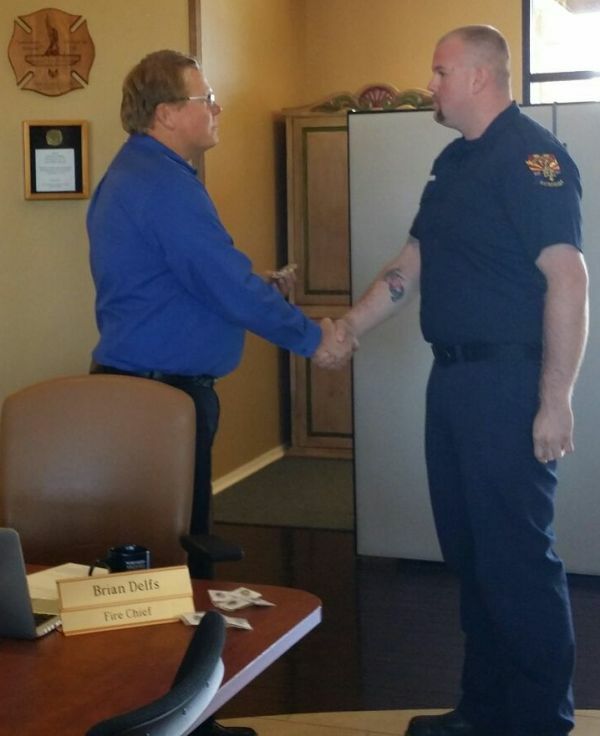 2015 HIGHLIGHTS: During 2015, The District opened Station 194 in Red Rock, promoted 3 Captains, promoted 3 reserve firefighters to fulltime, awarded 5-year service pins, and gained a new Board member. 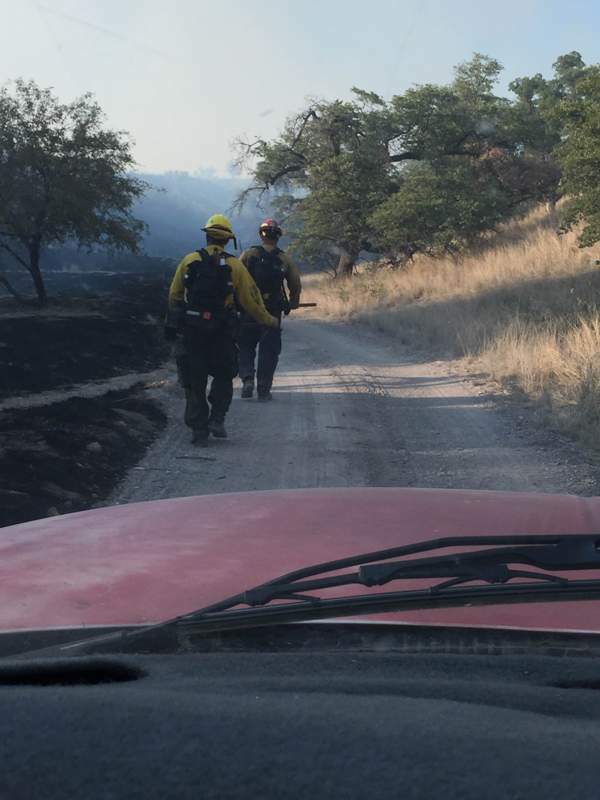 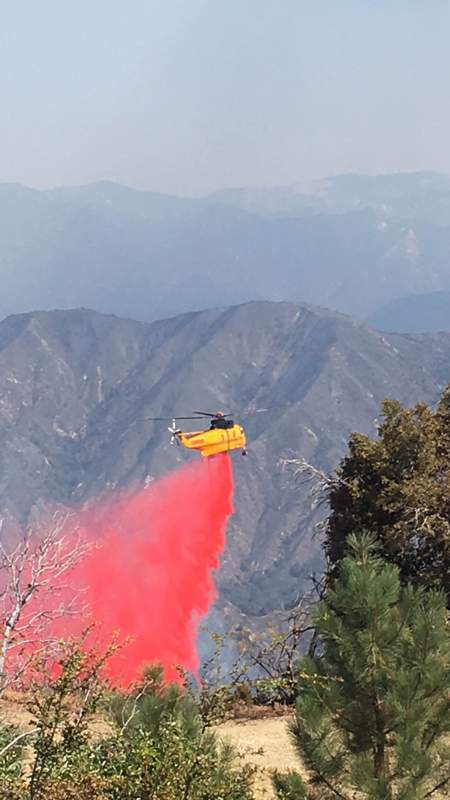 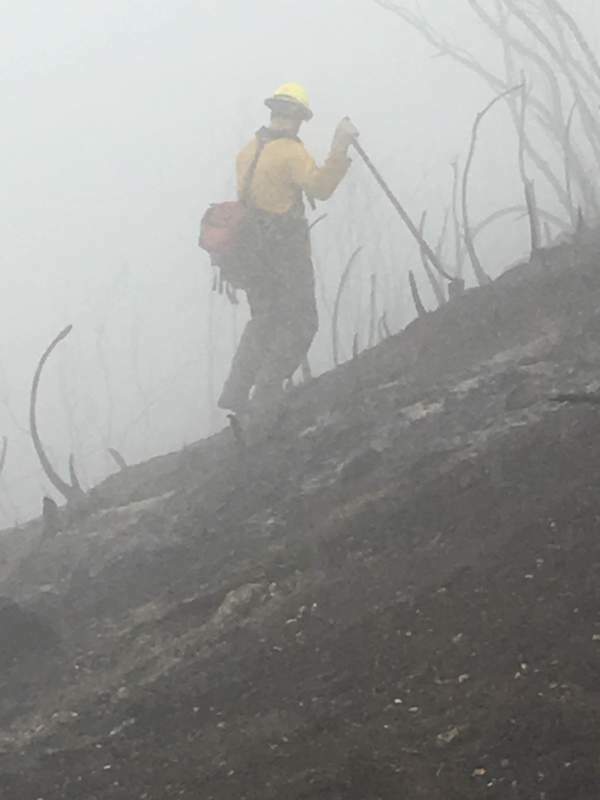 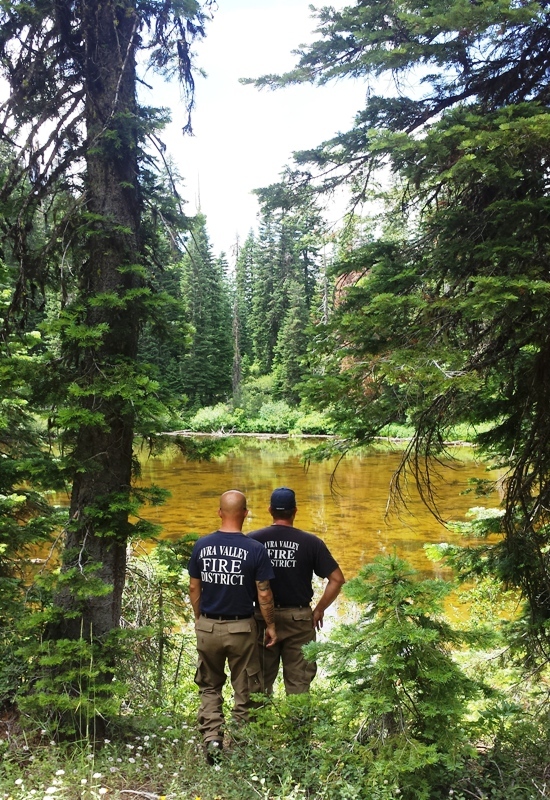 In addition to fire and emergency calls in the community, our firefighters were deployed to several wildland fires. 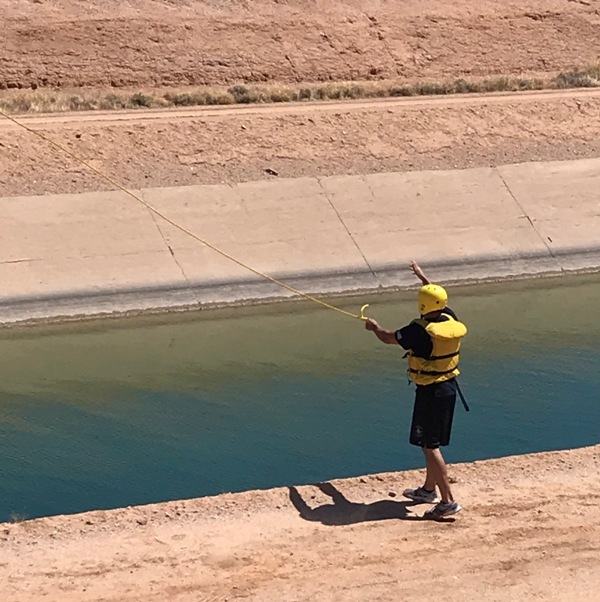 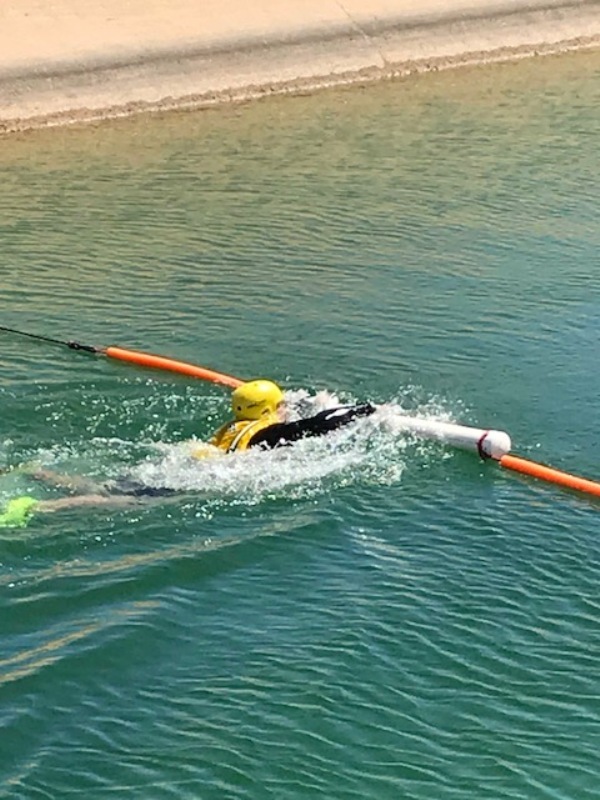 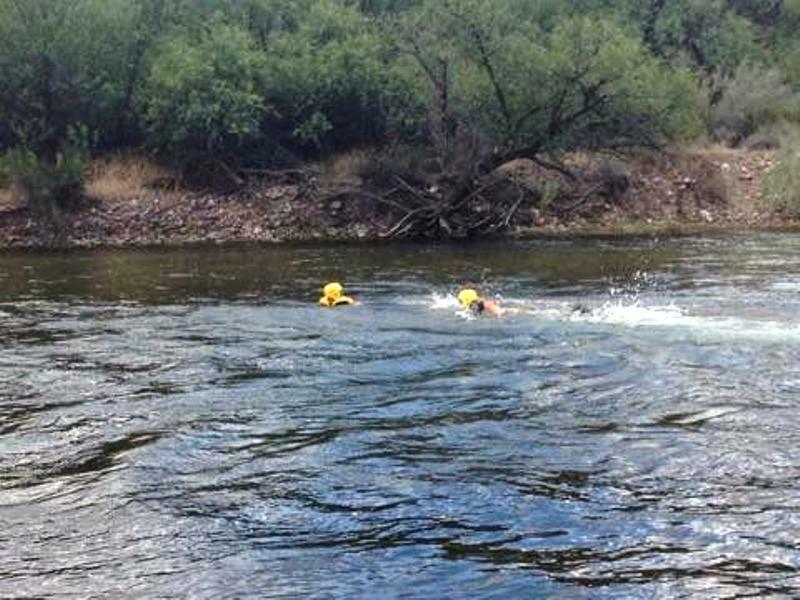 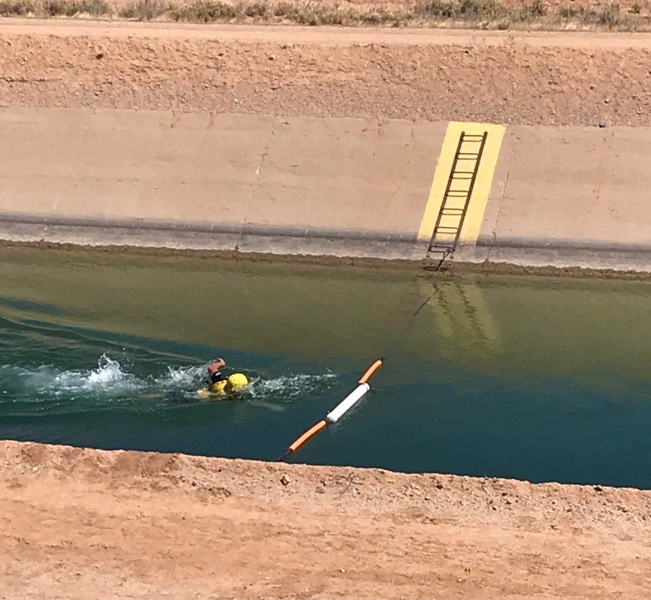 As well as regular physical training, our firefighters conducted many training events such as swift water rescue and helicopter landing pad safety. 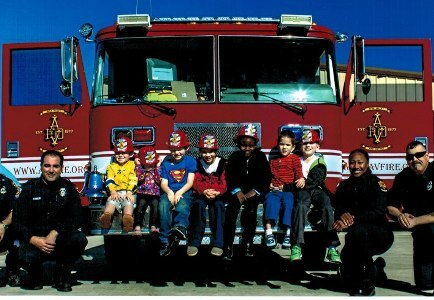 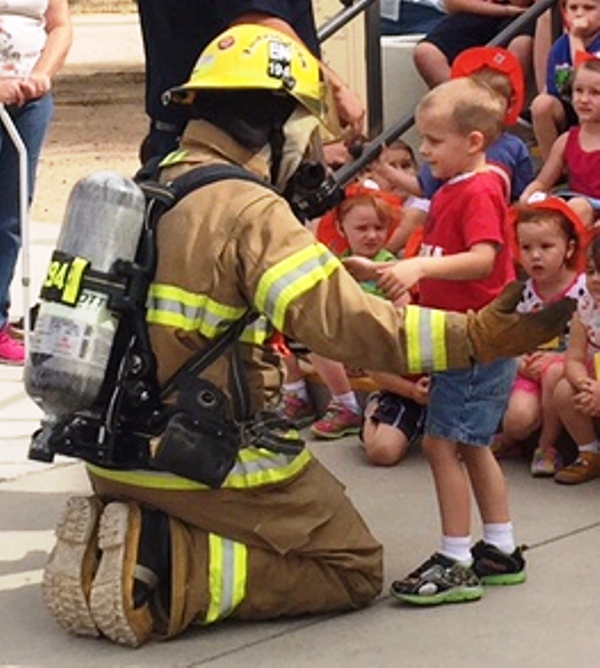 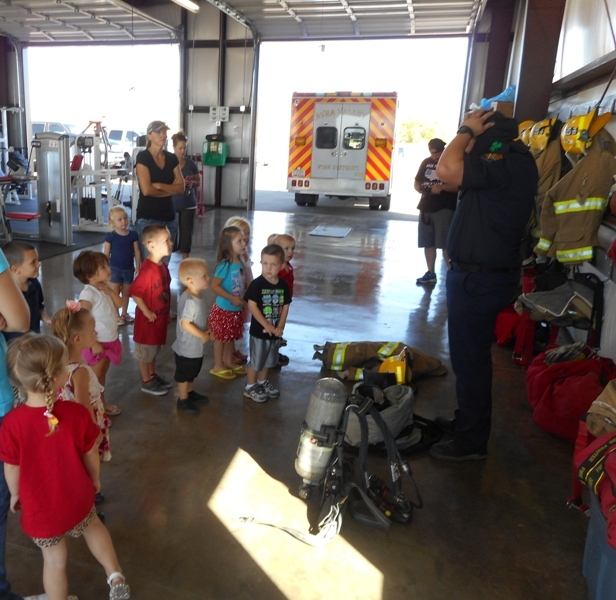 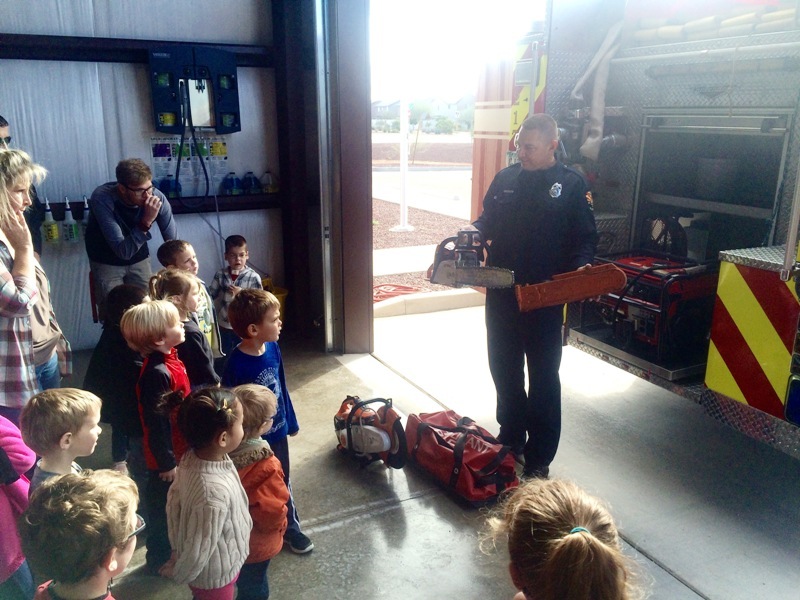 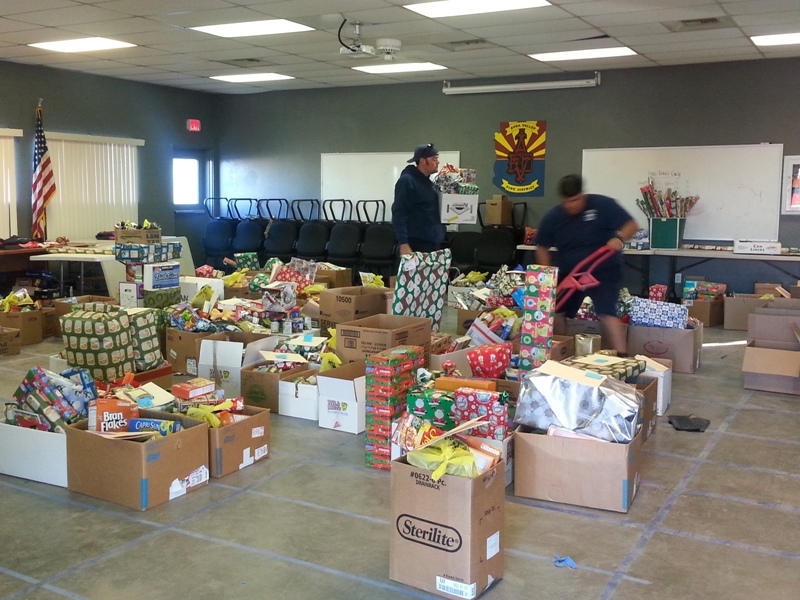 The firefighters hosted school tours, a holiday adopt-a-family program, and participated in community events such as the annual chili cookoff. 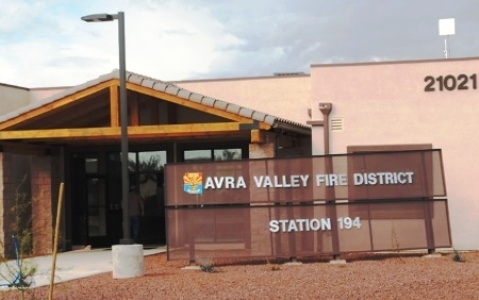 Also during 2015, Station 194 was chosen to house dust sensors as part of the severe weather warning system operated by the National Weather Service. 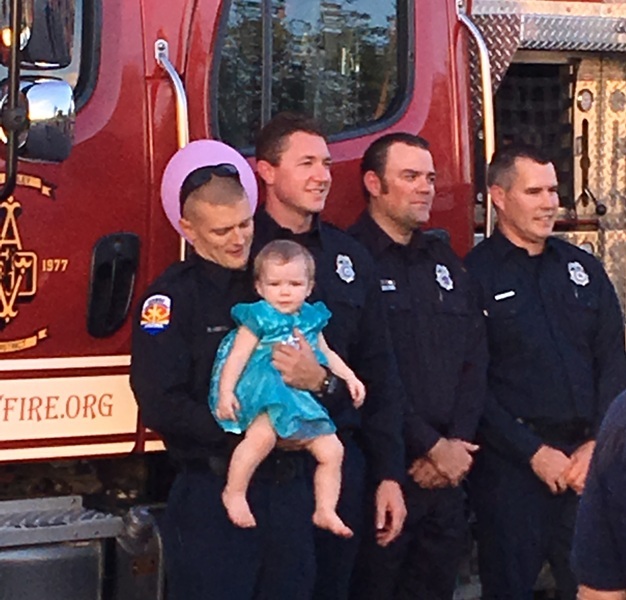 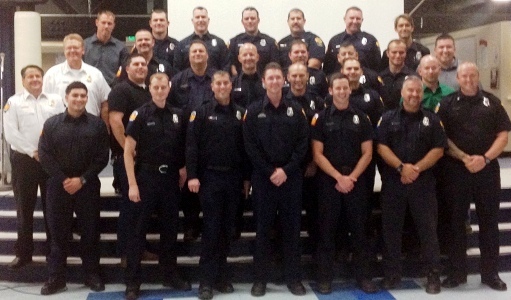 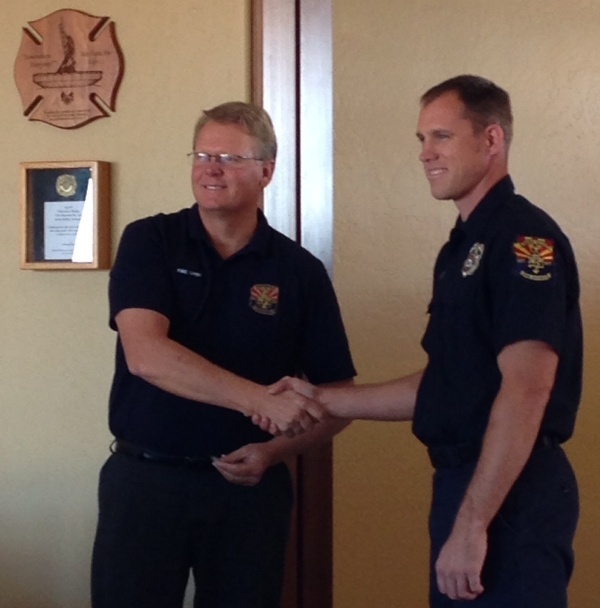 2014 HIGHLIGHTS: During 2014 the District promoted 1 Captain and 8 reserve firefighters to fulltime. 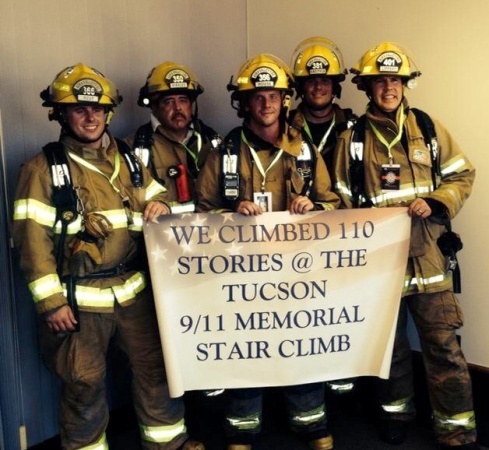 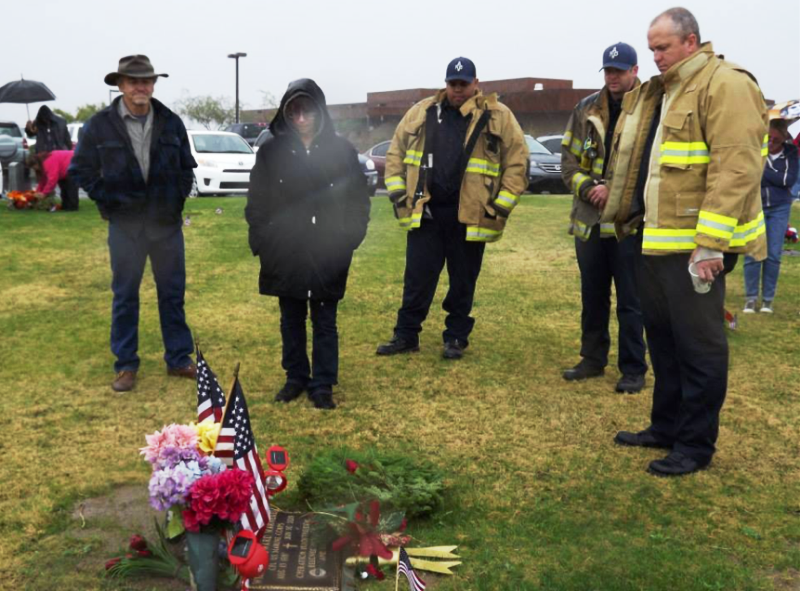 In addition to their annual adopt-a- family event, the firefighters participated in several community events including the 9-11 Stairclimb and a Veteran’s Dy Memorial service. 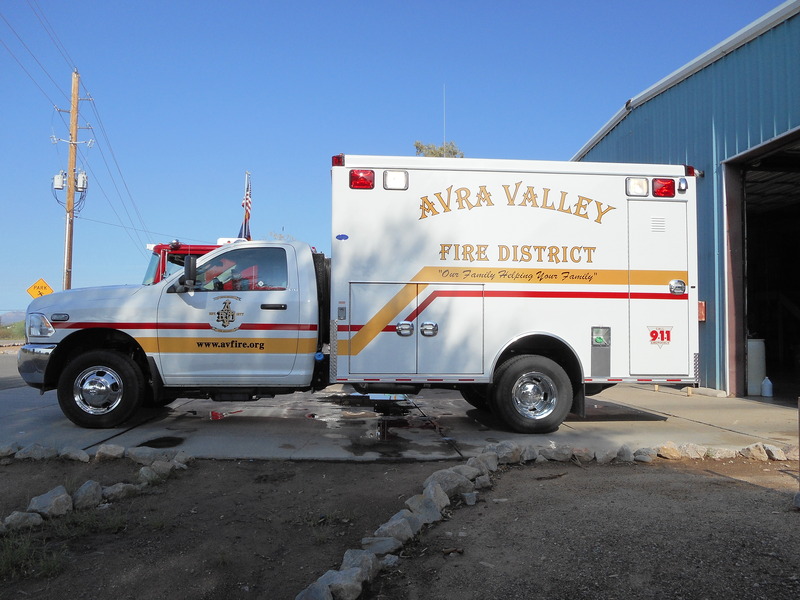 During 2014, the District was able to add 2 new ambulances to their fleet, as well as to completely refurbish frontline Engine 217. 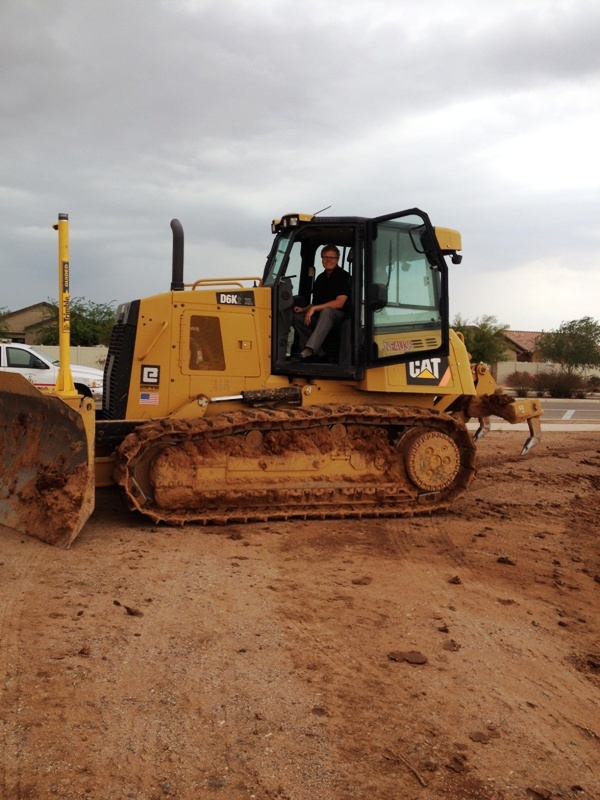 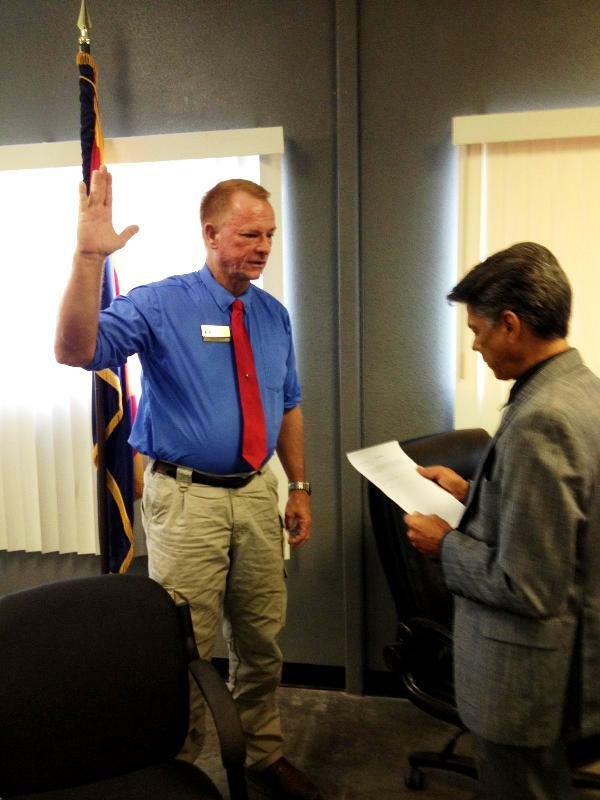 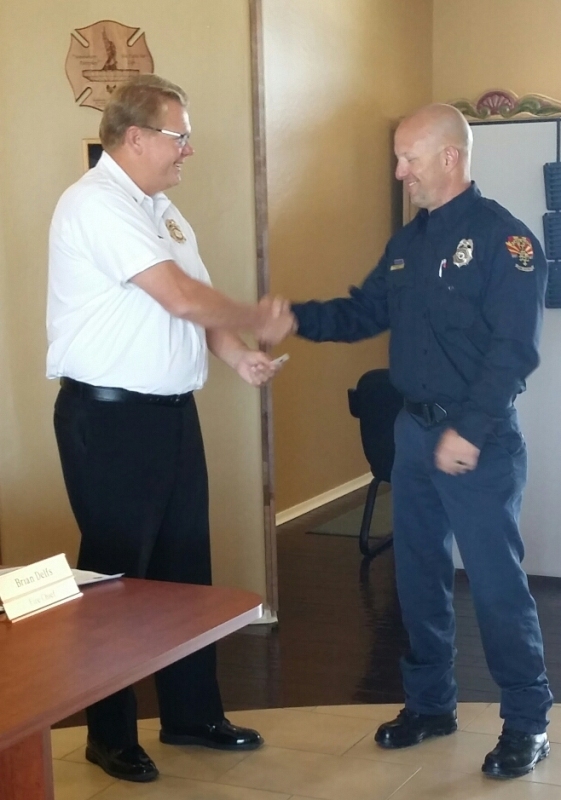 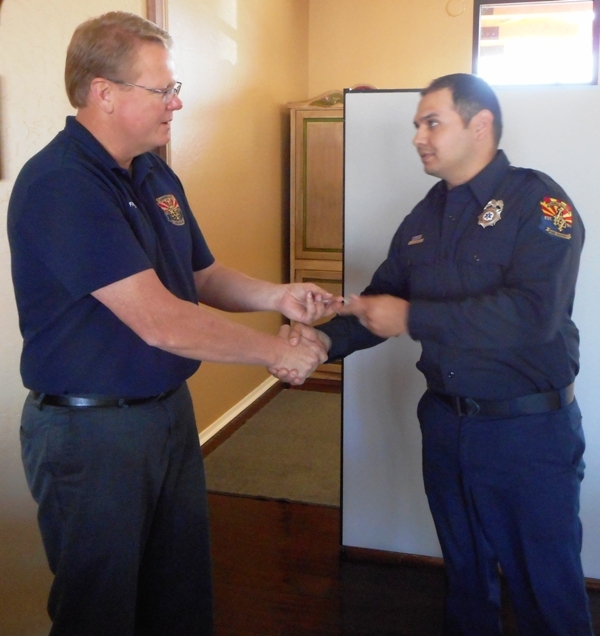 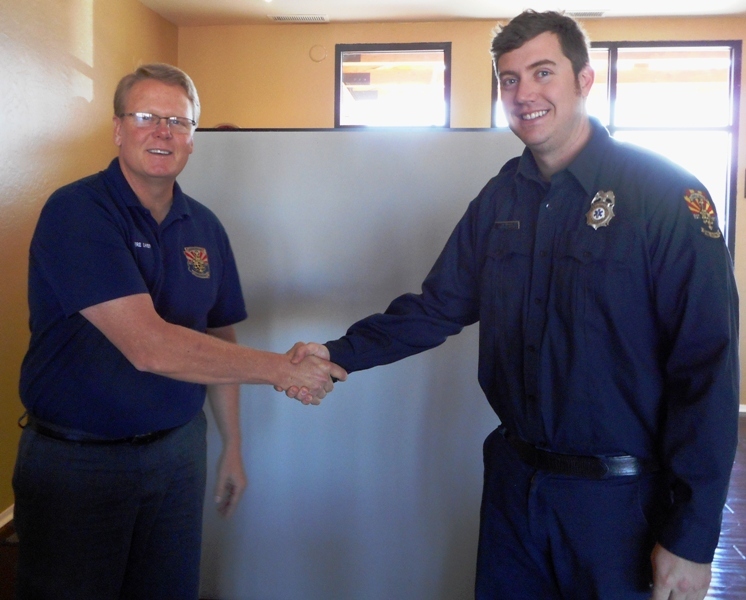 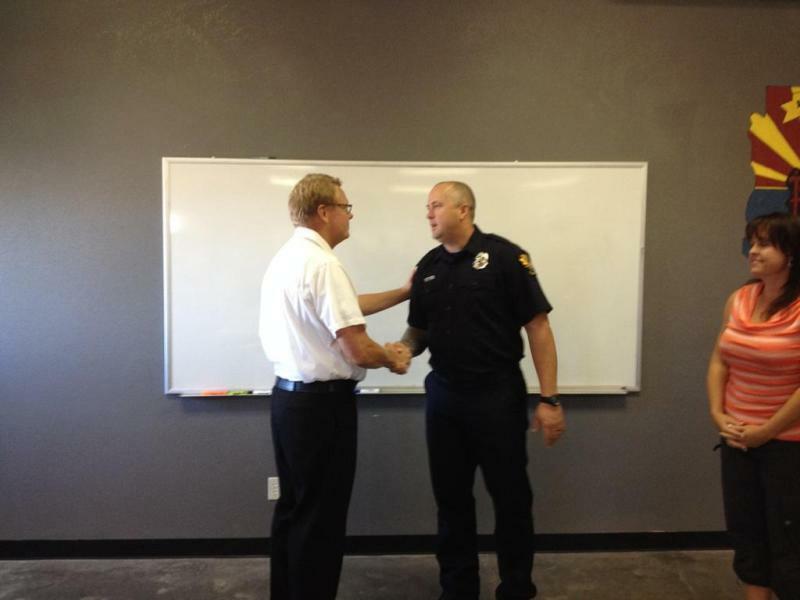 And, in the summer of 2014, the District broke ground on their fourth fire station in the Red Rock area.